Slow Cooker Shipwreck Dinner Is a Dish You Have to Try! It Might Have an Odd Name, but the Result is Delicious! 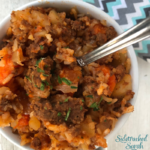 We love Slow Cooker Ground Beef recipes! 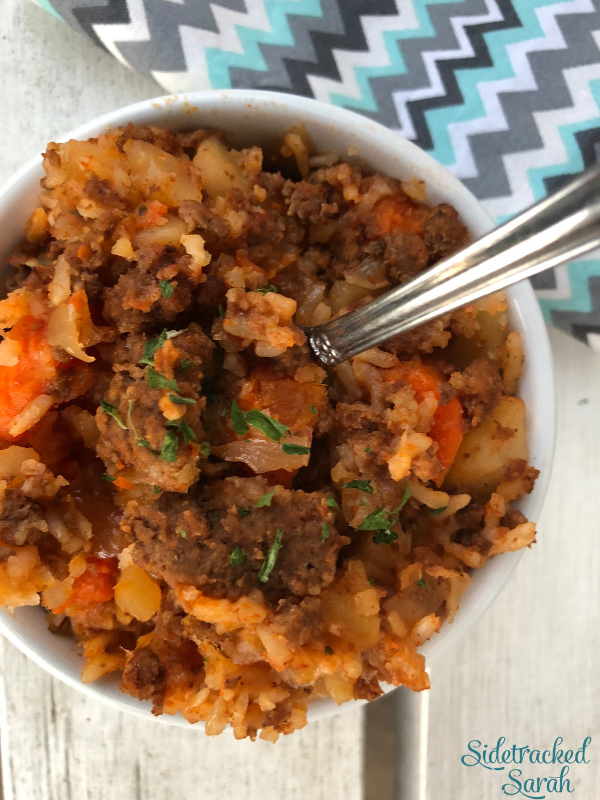 Some of our favorites include Slow Cooker Mexican Meatloaf and Slow Cooker Potatoes and Meatball Soup! Did you ever have Shipwreck Dinner when you were a kid? It has a funny name – I’ll give you that – but wow. This dish is so good! It’s also easy and requires little prep time, since the slow cooker does all the work for you. In my book, that makes it a winner! WHY IS IT CALLED SHIPWRECK DINNER? I wondered about that, too! There are different theories on this, but the most popular is that it has to do with the appearance of the finished product. It’s not the prettiest…ok, it’s kind of a mess. A “shipwreck,” if you will. But once you take a bite, oh my word. You really don’t care whether the dish is pretty or not. It is just that good! It’s also kid-friendly, budget-friendly, and super easy on Mom. That works for me! WHY DO I NEED TO COVER IT WITH TIN FOIL? That is a great question! Covering a slow cooker recipe with tin foil is a pretty unusual step, but it’s one you really don’t want to skip with this recipe. The reason for this? Unless you have a slow cooker that seals very well, any escape of steam can make the rice undercooked. 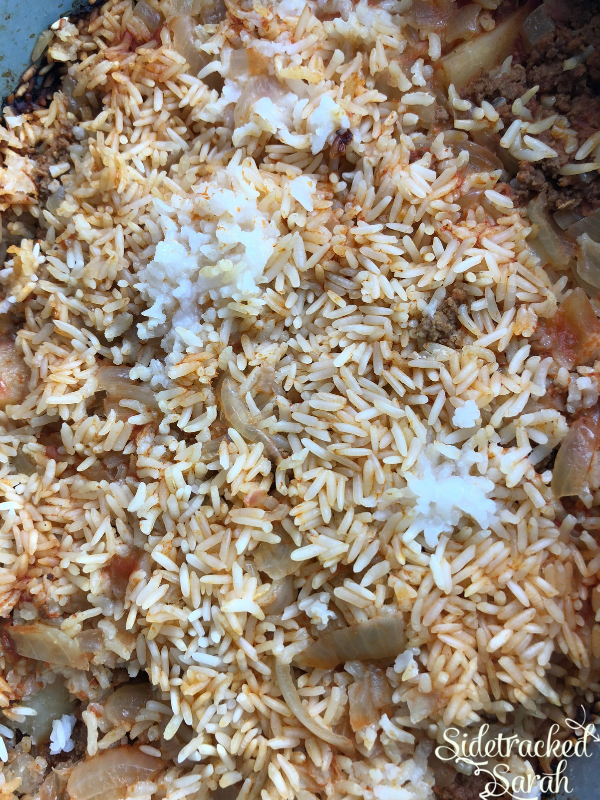 Covering the dish with tin foil and then placing the lid on the slow cooker ensures that all of the moisture stays in, so your rice is nice and fluffy. WILL SLOW COOKER SHIPWRECK DINNER FREEZE WELL? You can freeze the ground beef prior to cooking, per the instructions below, but I would not recommend freezing your leftovers. The potatoes tend to react badly in the freezer, getting discolored and developing an odd texture. If your family is anything like ours, though, you won’t have any leftovers to worry about! And if you do, they’ll work nicely for weekday lunches. 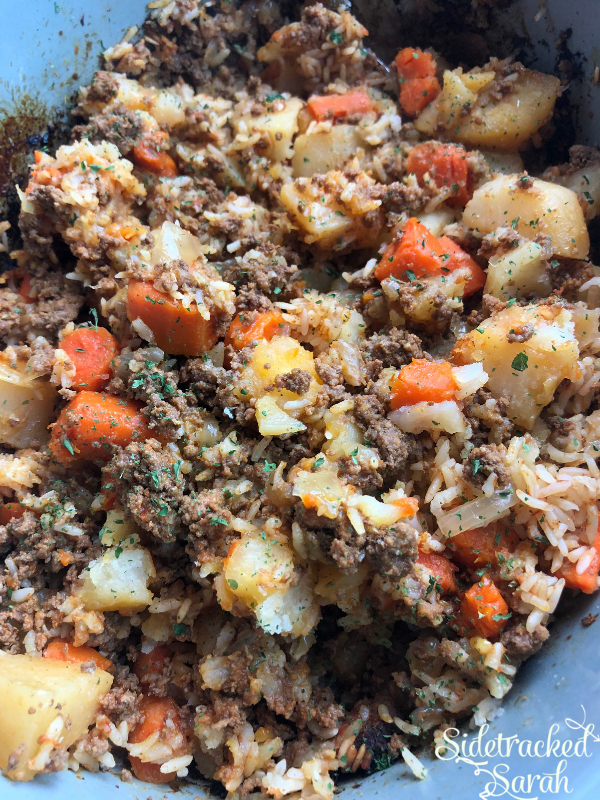 WANT MORE EASY SLOW COOKER GROUND BEEF RECIPES? 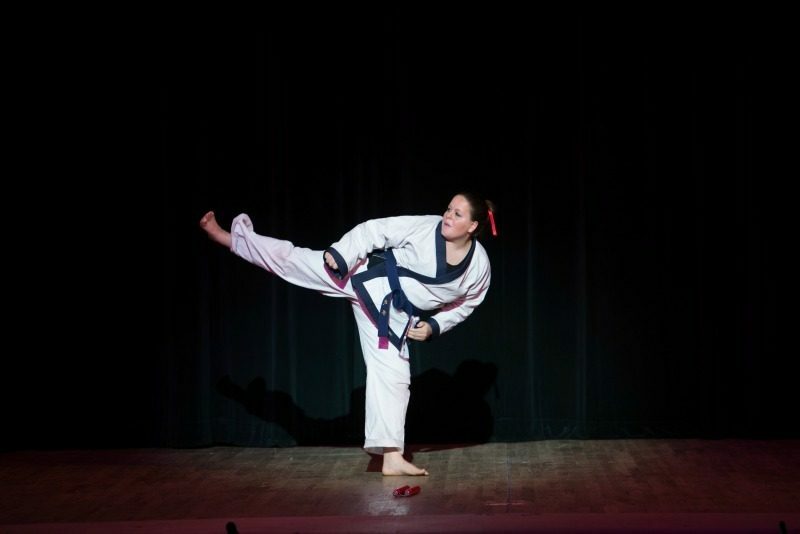 Our oldest daughter passed her pre test and will be testing for her 2nd degree black belt in November. Its amazing how much determination that she has and how persistent she is in her practice. I couldn’t be more proud of her.